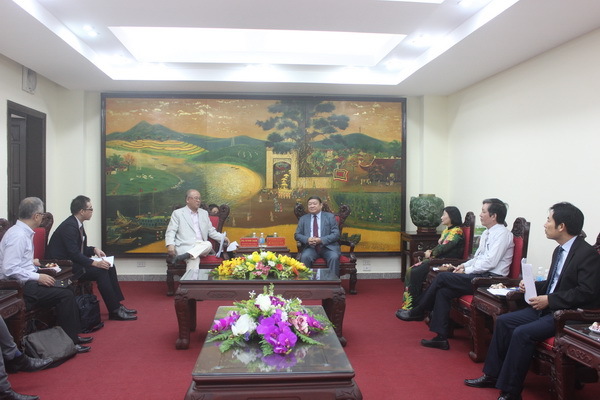 (VNFU Website) – In the afternoon of September 7, in Hanoi, VNFU Chairman Thao Xuan Sung presided over a meeting with Japanese delegation headed by Mr. Tsutomu Takebe, Special Advisor of Japan-Vietnam Friendship Parliamentary Alliance and Chairman of TOA Institution. VNFU Chairman Thao Xuan Sung makes remarks during the meeting. Attending the event were VNFU Vice Chairmen which are Mr. Dinh Khac Dinh, Luong Quoc Doan and Pham Tien Nam, and heads of departments and units of VNFU. At the meeting, the two sides discussed basic content of a project on training for VNFU staff and members in Japan, period of 2019-2023. 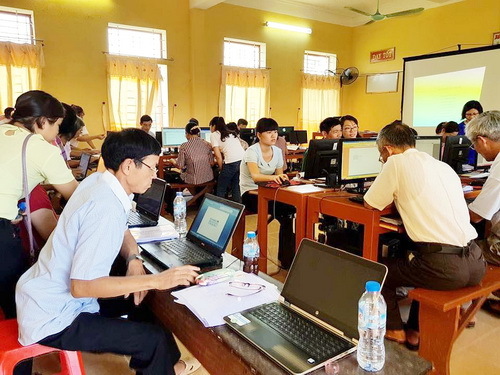 The project aims at enhancing leadership and professional capacity for VNFU staff, especially the young ones, and heads of cooperatives to create a source of future leaders for VNFU, the Party and the State of Vietnam; sharpening production skills for VNFU members to contribute to the overall agricultural development, new-type rural area construction, Vietnamese farmer fostering, strengthening the close ties between Japan and Vietnam. 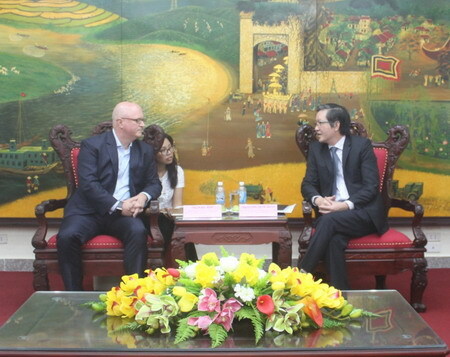 During the event, VNFU Chairman Thao Xuan Sung asserted that the project was the element helping tighten the relations between the two countries. Since VNFU at that time being had plenty university graduated staff, the Chairman hoped that the project could be would be the chance to enhance the capacity of the young staff of VNFU as well as giving farm holders, representatives of enterprises and cooperatives supported VNFU opportunities to come to Japan for studying in one-year time. 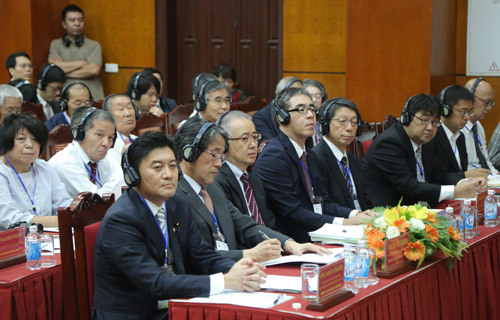 Mr. Tsutomu Takebe shared that the project would assemble staff of VNFU to come to Japan to learn about experience in agricultural, forestry and fishery production; farm management; farm product processing and storage; farm product transportation and consumption; understanding of researching, transferring and applying technology, particularly hi-tech. Not only would they learn those aforementioned things theoretically, but they would also practice what they had learned by themselves on site and simultaneously receive monthly salary in return. Mr. Tsutomu Takebe recommended that VNFU should collaborate with related bodies to propose and implement the project via specific activities. VNFU Chairman Thao Xuan Sung expressed his agreement with all proposals of Mr. Takebe. “TOA Institution would play an intermediary role in helping VNFU staff engage in exchange trips for training purpose lasting from 6 months to 1 year. VNFU will bear all the expense for the project, Japanese partners will support trainees in environment and accommodation. 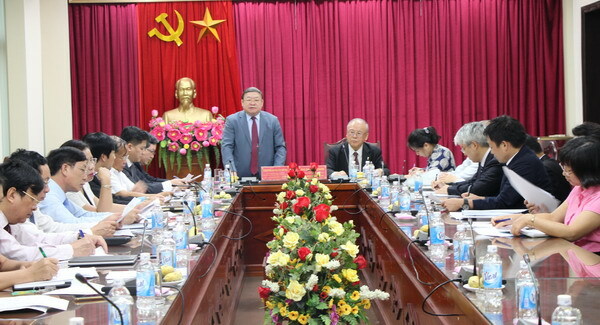 The training is expected to provide the whole package needed to VNFU young staff to become a true farmer on Japanese soil so that they can return home and bring what they’ve learned into play to improve the efficiency of agricultural production”, VNFU Chairman Thao Xuan Sung stressed.